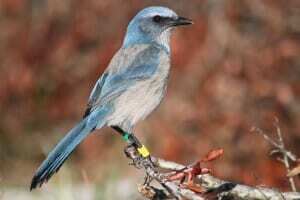 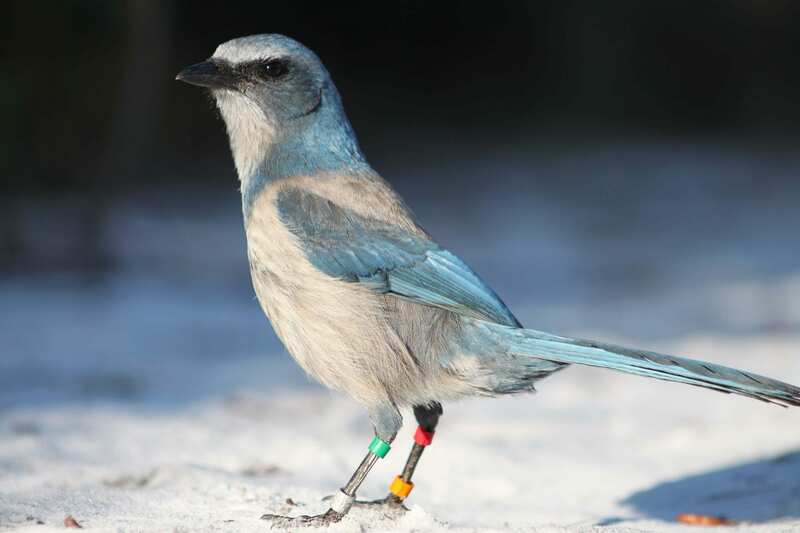 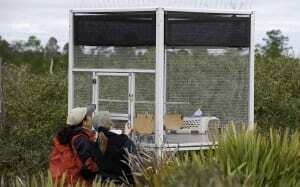 Migration is hardwired in the DNA of many animal species, but not Florida scrub-jays. 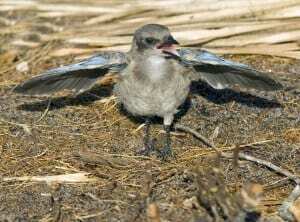 These beautiful, comical birds live in small family groups, relying on one another for protection. Unfortunately, human development has resulted in the extensive loss of scrub habitat, which is characterized by naturally occurring wildfires. 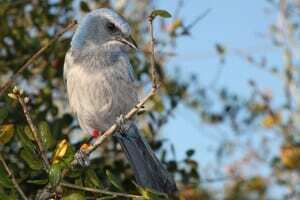 These birds are found exclusively in Florida—Palm Bay in particular was once a stronghold for the species. 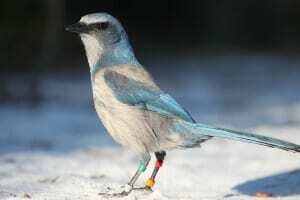 As human populations grew in the early 1990s, local scrub-jays suffered, and the number of scrub-jay families in the city had plummeted from 54 to just 11 by 2012. With nowhere for the scrub-jays to go, we’ve been working with the Florida Fish and Wildlife Conservation Commission and United States Fish and Wildlife Service to translocate family groups to managed and protected scrub habitats. 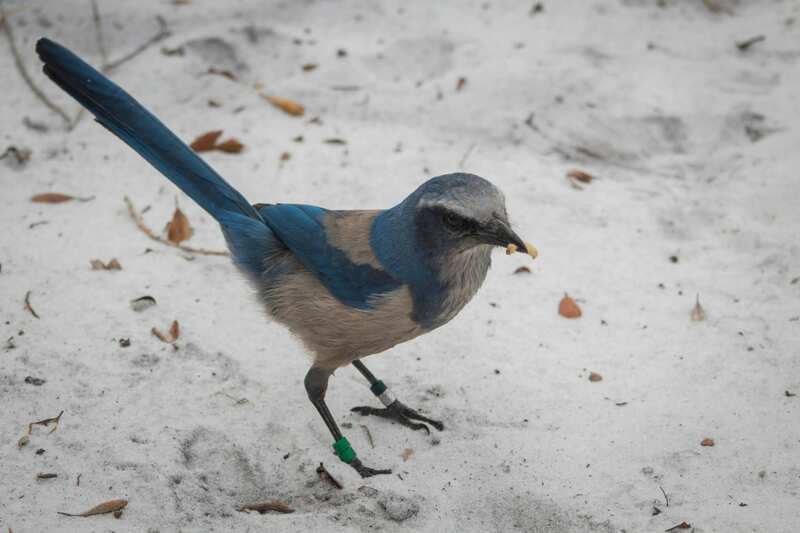 We’re also monitoring six sites that include over 50 individual scrub-jay territories, using our veterinary expertise to collect genetic samples, facilitating meetings with stakeholders and contributing to outreach efforts like the Florida Scrub-Jay Festival. 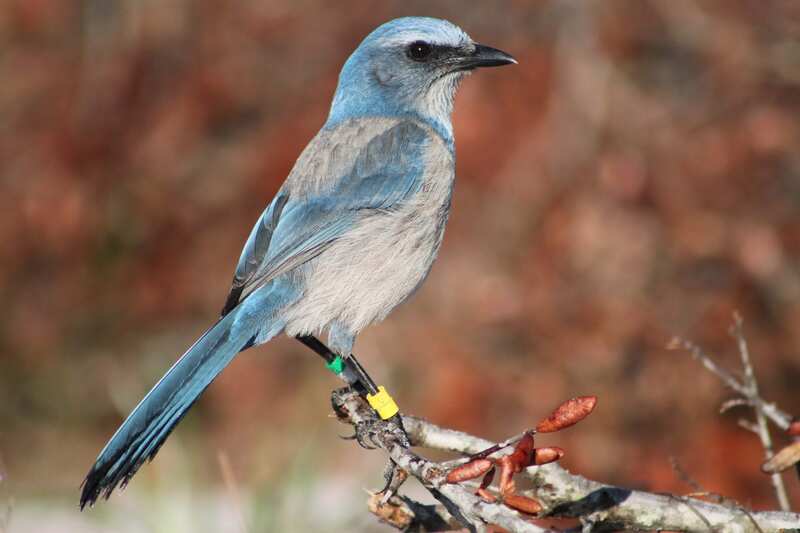 It is our hope that this species remains in the county (and state) for generations, inspiring and entertaining nature enthusiasts with their lovable antics. For more information on this project, please contact Michelle Smurl at msmurl@brevardzoo.org or call 321.254.9453 x217.